Fiction. Surrealist writer and painter Leonora Carrington (1917-2011) was a master of the macabre, of gorgeous tableaus, biting satire, roguish comedy, and brilliant, effortless flights of the imagination. Nowhere are these qualities more ingeniously brought together than in the works of short fiction she wrote throughout her life. 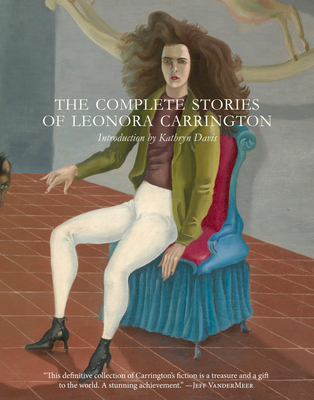 Published to coincide with the centennial of her birth, THE COMPLETE STORIES OF LEONORA CARRINGTON collects for the first time all of her stories, including several never before seen in print. With a startling range of styles, subjects, and even languages (several of the stories are translated from French or Spanish), THE COMPLETE STORIES captures the genius and irrepressible spirit of an amazing artist's life.